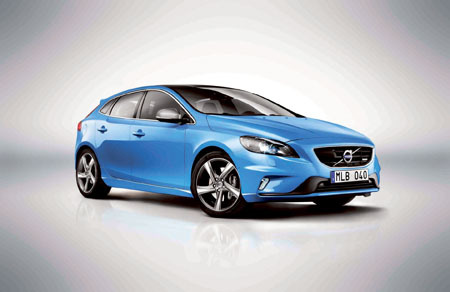 Volvo’s new five-door five-seat hatchback, the all-new Volvo V40, has been awarded Auto Express’s Safety Award for 2013. The Volvo V40 was praised for its exceptional NCAP Safety Rating, receiving the highest ever score by the institute, and also for featuring leading innovative safety technology as standard across the range. As part of Volvo's continuing effort towards its Vision 2020 goal that no-one should be killed or seriously injured in a new Volvo, both comprehensive passive and active systems are employed. Even people on the outside of the vehicle are protected with the world-first pedestrian airbag that deploys over the lower part of the windscreen and A-pillars and lifts the bonnet slightly to help absorb the impact.